TheatreSouth Atlanta (TSA), Inc. dba Herman LeVern Jones’ TheatreSouth is thrilled to announce its performances of “The Colored Museum” written by Tony Award winner George C. Wolfe this February 2018 at the Pompano Beach Cultural Center, 50 W Atlantic Blvd, Pompano Beach, Fla. 33060. “The Colored Museum” presents 11 hilarious “exhibits” of African American culture — from the depths of the Celebrity Slave ship to the spinning heights of Harlem. George C. Wolfe’s groundbreaking satire comedy has electrified, discomforted, and delighted audiences of all colors, skewering stereotypes and redefining what it means to be Black in contemporary America. 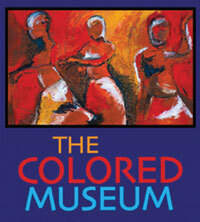 “The Colored Museum” premiered at the Crossroad Theater Company of New Jersey in 1986. Within six months, the play found a new home at the Public Theater in New York City. “The Colored Museum” was later performed at the Royal Court Theater in London, England, beginning July 29, 1987 and in a production by Talawa Theatre Company October 15-23, 2011. “The Colored Museum” will make you laugh, cry, think and contemplate what it means to be Black in the United States. Morning performances are designed as field trips for school students and afternoon performances are tailored to seniors. However, the general public is more than welcome to attend any performance of their choosing! Performances: Thursday, Feb. 22; 10 a.m. (school students), 1 p.m. (seniors), 7 p.m. Friday, Feb. 23; 10 a.m. (school students), 1 p.m. (seniors), 7 p.m. Saturday, Feb. 24; 2 p.m. (seniors), 7 p.m. and Sunday Feb. 25; 3 p.m. and 7 p.m. Tickets: $16.50/students; $21.50/seniors and $25.50/general. To purchase a ticket: visit ccpompano.org or call (954) 545-7800. For questions about the production and performance times: email info@theatre.net and call (305) 924-3003. TheatreSouth Atlanta permanently relocated to South Florida in 2014 and has since cultivated a variety of projects in partnership with Brigitte Keane and Jeff Tucker of EarthSave Miami, Inc. such as the I Have A Dream Musical on Dr. Martin Luther King Jr. starring Broadway’s Jahi Kearse (Florida International University, South Miami Dade Cultural Arts Center, the Coral Springs Center for the Arts and the Phichol Williams Center), The Eve of Jackie starring Broadway’s Chester Gregory (Adrienne Arsht Center), The Colored Museum written by renowned playwright George C Wolfe (The Deering Estate), and The Phantom of the Old Opera House written by Joseph George Caruso (Phichol Williams Center). All of our projects are family oriented and for all ages of men, women, and children who look to be entertained and educated through the arts. As we continue to build a stronger brand in our community, we also hope to build a community brand that illustrates to the world, art lives in South Florida! For more information, visit www.theatresouth.net. The production will be directed by Herman LeVern Jones, a 45-year theatre veteran, who has started theatre companies all over the United States, toured internationally and received a Master of Fine Arts in Acting from the University of North Carolina-Chapel Hill. The cast: The performances will feature performers from South Florida such as LaCora Funches, Samantha Davis, Jacovia Farrington, Dwayne Stephenson, Imami Obong, Nadine Boyd, Vernal Broom, and Debbie Goins.